Our range of medium durability tarpaulins measure 110gsm thick and are available in green. 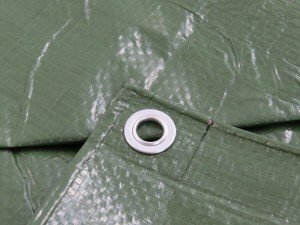 These durable and practical tarps can be purchased in a variety of different sizes to suit your needs, from 2m x 2m to 8m x 8m, and they feature an eyelet approximately every metre along the hem for ease of use. 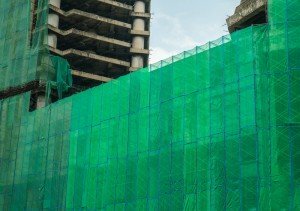 These durable yet lightweight tarpaulins are recommended for a variety of applications, including temporary partitions and roofing, and for general building and construction use such as protecting materials and equipment from rain. 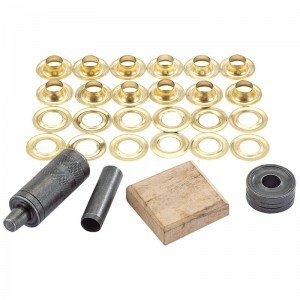 They are also suitable for keeping flooring and furniture protected during painting, decoration, and general DIY. We stock a comprehensive range of tarps on our website so we’re sure we’ve got just what you need. 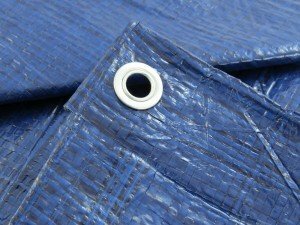 However, if you can’t find the right tarpaulin in the right size please contact us and we’ll be happy to try and source it from our trusted suppliers.